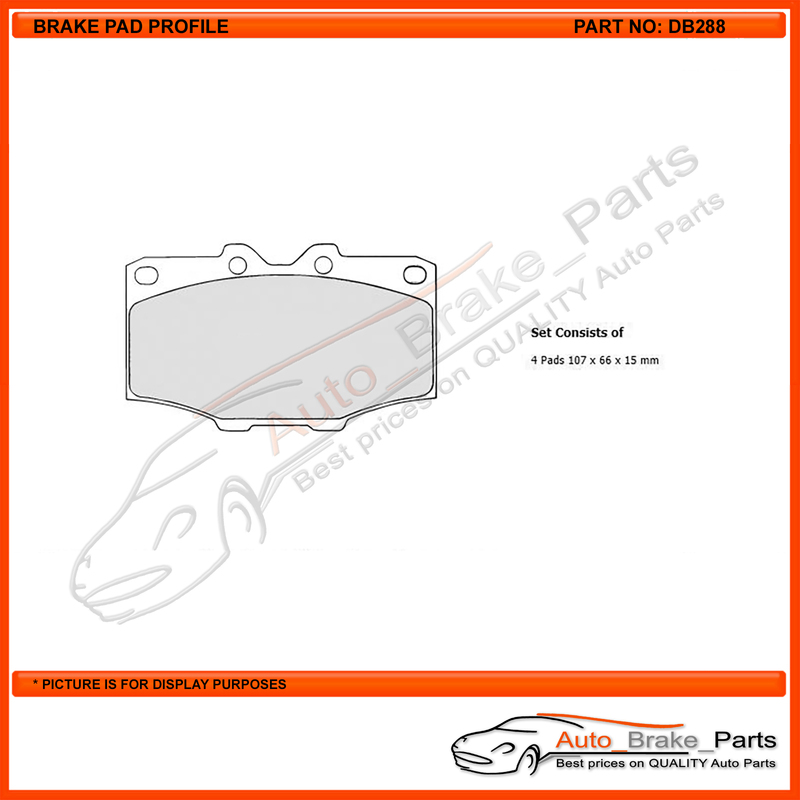 There may be more than 1 type of brake pad for your make & model of vehicle. 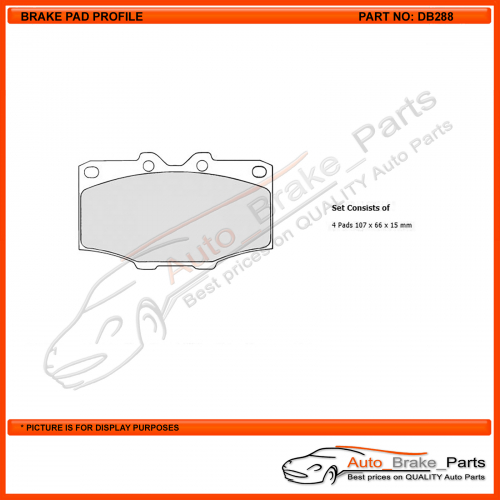 The brake pad image in this ad shows the shape and dimensions of the pad you are purchasing from this ad. 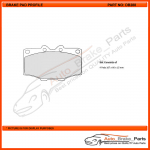 Please ensure that the shape and dimensions are the same as your existing brake pads prior to purchasing. Across Australia or around the block, wherever they go, Bendix 4WD/SUV brake pads get the job done brilliantly. For extreme strength, extended life, great pedal feel and safe stopping under all conditions, you can fit Bendix 4WD/SUV pads with confidence. Bendix 4WD/SUV brake pads are specially formulated to match specific vehicle types. For heavy 4WDs, the formulation is designed for durability and confident braking especially when loaded up or traversing serious off road terrain. For SUVs and ‘soft road’ models, the formulation is specifically designed for low noise and low dust. Bendix 4WD/SUV pads have been developed for optimum performance, no matter what you drive. Hybrid Fusion Technology is the fusion of Bendix Technologies and compounds into a complete quality product. Increased material strength under extreme conditions. Increased heat resistance at high temperatures. Material is matched to the vehicle type for optimum performance. Product engineered and tested to eliminate noise and vibration. Also coated with Noise Absorbing Shims for reduced transmission of vibration and noise from the brake pad during extreme braking. 4WD/SUV brake pads include Hybrid Fusion Technology to deliver premium braking both on and off road. These pads include Blue Titanium Stripe for sure stopping right out of the box and EPR for extra strength, higher friction and greater heat resistance. The overall result is a brake pad that delivers low noise, low dust, quiet braking and reduced brake fade at high temperatures caused by tougher driving conditions.